The Right Chemistry: What Aquarium Water Type Do You Want? What Aquarium Water Type Do You Want? Having your own aquarium is awesome, but getting your first aquarium set up can be a daunting prospect. There are many choices that you have to make before putting any money on the table, and one of the very first is deciding what sort of water your aquarium will have. This is important for a number of reasons. Mostly it determines what types of fish you can keep, but it also determines the sorts of equipment you’ll need. Tropical freshwater aquariums are by far the most common setups you’ll find and are generally what I would recommend for beginners. 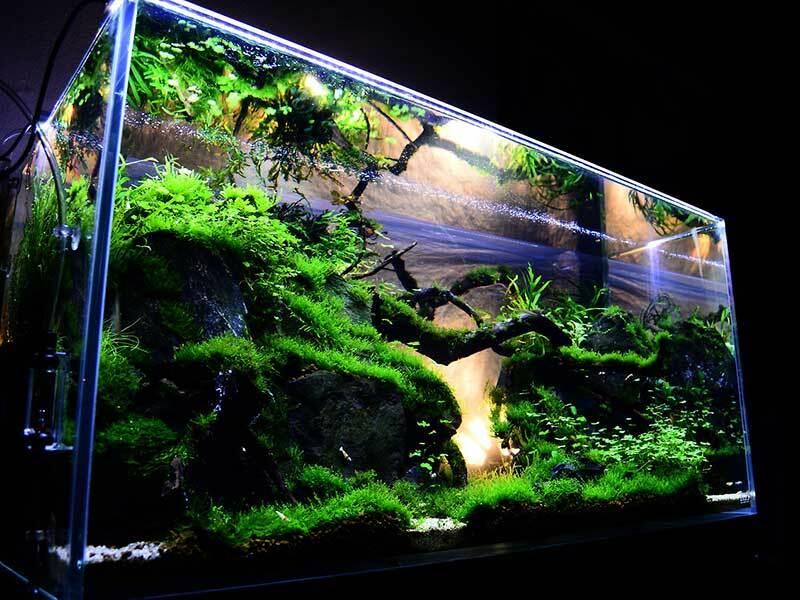 The basic elements of a tropical tank is fresh water (in other words, without added salt) and a temperature range generally between 76° to 80°F (25° to 27°C). Depending on the exact fish you keep, that range may shift a little, but that’s the range that accommodates most species. You can use tap water after treating it with the appropriate chemical agents. Unless your local tap water is really weird or far too hard or soft, this treatment generally involves a chemical neutralizer and a bacteria booster. There are also some great chemical-balancing products that really take the pain out of keeping the water quality right. Keeping the water temperature controlled is not hard. You need two things – a heater and a thermometer. There are different styles of heater, but the most basic one is submerged directly into the aquarium after you set the desired temperature with a knob. It will then switch on and off to make sure the tank does not drop below that setting. Tropical tanks can be made beautiful and there are many interesting fish from the tropical parts of the world, which makes it a great place to begin. The other popular choice is the marine tank. This tank uses seawater, which is a rather complex mix of chemicals in nature. 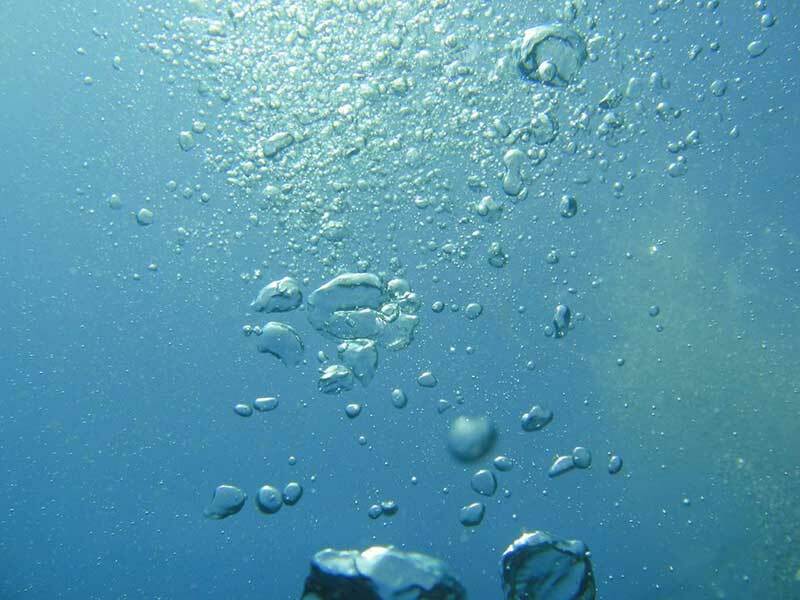 It’s possible to mix your own marine water, but I recommend that you buy it pre-mixed from your local marine aquarium, since they will produce consistent results and have professional equipment for making seawater. It’s not very expensive at all and you’ll find that it’s worth saving yourself the hassle. I’ve also known some aquarists (one of whom is a marine biologist) to get seawater directly from nature if they live in a coastal region. This is obviously only a good idea if you are housing a tank with local species of marine life, but it can work. The temperature of the marine tank is also highly dependent on the species you have. Marine tanks don’t just house fish, but may also contain corals, anemones, and invertebrates. Some tropical marine species will need a hotter tank than you may think. You also get coldwater marine tanks for species from parts of the world with that water temperature. In fact, instead of a heater you may need a dedicated water chiller to keep the temperatures in a tight, controlled range. Coldwater marine tanks are not nearly as common as the warmer kind, but if you simply must have certain coldwater species then it can be done. Coldwater aquariums are actually pretty common, since so many of us had goldfish bowls as children. While these are referred to as “coldwater” aquariums it’s more accurate to refer to them as room-temperature aquariums. Generally, if humans can comfortably deal with the temperatures inside the room, coldwater fish should be fine. These types of aquariums generally don’t have temperature control and only have a filtration system. There are many gorgeous (and expensive!) fish that can be kept in tank like this. Most often it will be a fish from the carp family such as Koi fish or the related goldfish species. You can get cheap run-of-the-mill specimens of either, but there are some crazy breeding competitions going on and certain coldwater fish can go for thousands of dollars. There’s a fourth type of aquarium water which you won’t see very often, but is an option if there are specific species that you absolutely must have. I’m talking about the “brackish” water type, something that you’ve maybe not heard of before. What is brackish water? When a freshwater river meets the sea the point where the two types of water mix, this is known as brackish water. There are not a lot of reasons to want a brackish tank. Actually the only reason you would want one is if there is a species of fish you want to keep that can only live (or at least thrive) in brackish water. The challenge of maintaining the water mix and the limited variety of brackish species that you may want to keep make this a left-field choice. Once you’ve decided which type of water your aquarium will use, a lot of your other decisions will fall into place, especially which fish you can choose for your tank. Almost any aquarist will tell you to start with a tropical tank, though. It’s challenging enough so that you’ll learn a lot about fishkeeping, but it’s easy enough so that you won’t kill an entire tank of fish because of one or two slipups.